How are you wonderful people doing today?! Smile, you made it to another day! A place to grow was our last post here at IAATV's official blog spot. I'm sure there are many wonderful examples you and your friends came up with to pinpoint as places you all go to grow. Now, that we have identified those places of inspiration, I think it is only right to transition to today's reflection on something we all appreciate. Appreciation, is shown all the time in more ways than you may think. Think about school, there are entire subjects reflecting on works from the past, science and specific people, such as Shakespeare. We all like to be appreciated even though popular society only tends to recognize certain qualities. 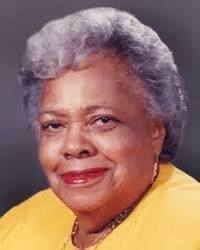 There is a beautiful example of shining excellence I would like to shed some light on today, the late "Dame" Ruth Nita Barrow. She became the first and only female Governor-General of Barbados. Who would you like to appreciate? Leave a comment below so we can see and have a wonderful day appreciating!